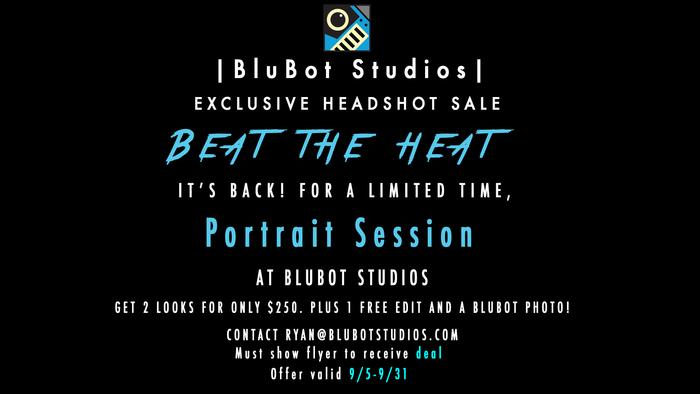 Please email Ryan@blubotstudios.com to ask about prices and consultations. Its back! 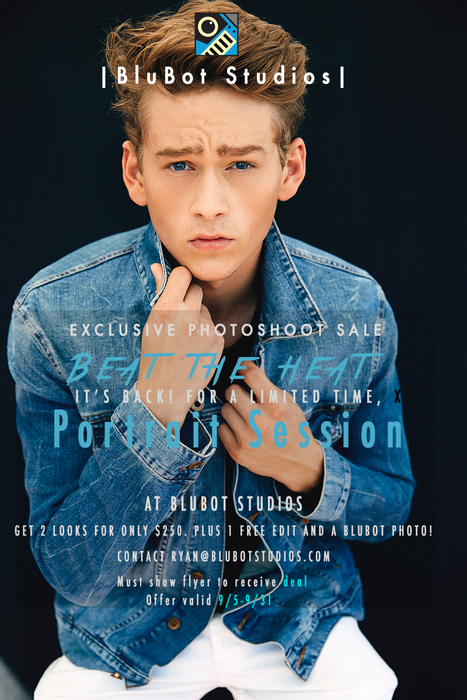 for a limited time, Portrait Session! Get 2 looks for only $250. Plus 1 free edits and a #BluBot photo. This also works for headshots too!